Surrey Police is appealing for the public's help in identifying the man in this CCTV image. 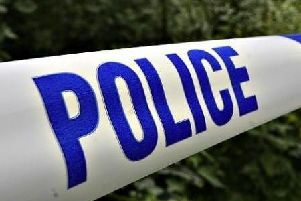 Police wish to speak to a man in connection with an allegation of a serious sexual assault in Horley, the force has said. Officers have released a CCTV image of a man they believe may have information in relation to an offence against a woman in the early hours of Saturday October 8. Police said the incident is believed to have taken place at around 1.50am in Victoria Road, opposite a Lidl store. Detective Constable Sarah McCabe from Surrey Police Sexual Offences Investigation Team, said: “We believe this man may have information which could assist our ongoing investigation. Police said specialist officers are supporting the woman while detectives carry out an extensive investigation. Police urge anybody who recognises the man in this image or with any information to call 101 quoting, 45160089054 or report online at https://report.police.uk/.